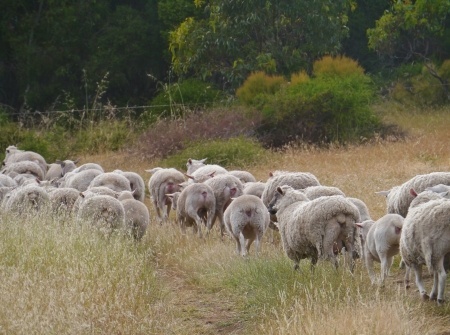 I am sure you have driven in the country on occasions and seen very narrow tracks carved out in paddocks by sheep as they “follow the leader” from point A to point B. For sheep, this is basically a defensive manoeuvre. When one decides to “go” they all “go”. They are herd animals and are hardwired to stick together. And if you look at their tracks they are never dead straight but weave slightly from side to side. This greatly expands their field of vision and allows members of the walking column to keep a virtual 360 lookout for predators. While sheep have a sound reason for their behaviour I can’t say the same exists is so many cause-based organisations I come across who seem to be perfectly content with following a well worn program delivery track. Sure this approach helps them feel comfortable today but is doing nothing to help secure their future. Funding bodies are continually on the lookout for organisations that try things, push program delivery boundaries, are innovative and creative. Believe it or not, but politicians and bureaucrats are human. They are excited by, and want to be associated with, trail blazers. For trail blazers, acceptance of the “same old”, “same old” mentality is not for them. Of course, I am not talking about foolhardy risk-taking here. But a preparedness to question the status quo and a willingness to try other ways of increasing social impact. In today’s environment, while is may work for sheep to stick to the path, it could lead to the early demise of a cause-based organisation. Irrespective of the sector you find yourself in today, it is critical to your organisation’s survival to always stay uncompromisingly focused on your cause. Never stop listening to those you serve, continuously evolve your product and service offering and distance yourself from those on the path.